The advanced reading copy bills this as “the best novel yet from Michael Robotham” which is a big call considering his previous nine novels. While I’m not a fan of the Joe O’Loughlin novels that has nothing to do with Robotham’s writing just the fact I don’t like psychological thrillers. But what all Robotham’s books have in common is precision plotting. 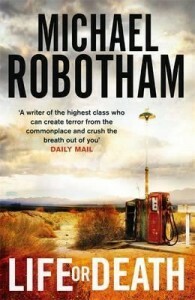 Robotham knows exactly how to unfurl a story, keeping you interested and guessing in equal measure. My favourite Robothom was Lost (aka The Drowning Man) which demonstrates this perfectly. 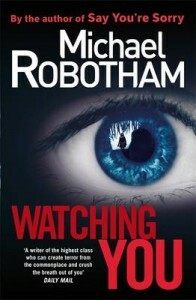 But I have a new favourite Robotham now because this is beyond doubt the best novel yet from Michael Robotham. 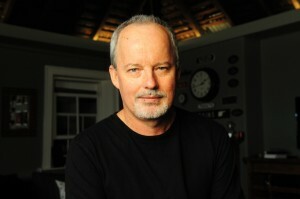 The idea for this novel came to Robotham over twenty years ago, well before he’d written his first book. 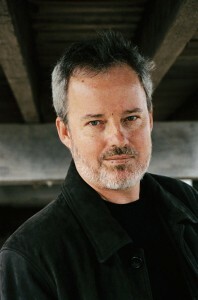 But Robotham didn’t know if or how he could pull the story off. Nine best-selling novels later he knew how he was going to do it and it was worth the wait. Audie Palmer has spent the last ten years in prison for an armed robbery that netted 7 million dollars. Money that has never been recovered. Everybody wants to know where the money is; other prisoners, guards and various law enforcement. Audie has survived beatings, stabbings and other assaults and is finally due to be released from prison tomorrow. Except he has just escaped. And so begins an epic thriller. Nobody knows why Audie has escaped but they think it has to do with the money. As Audie’s plan unfolds we learn that there are stronger motivations than money. Motivations that people will kill for, motivations people will live for. This is far and away the thriller of the year. It will keep you glued to end of your reading chair, it will keep you guessing until the very end and, best of all, it will break your heart. LIFE OR DEATH is a love story and a thriller and a story of redemption. It’s a standalone novel that introduces Audie Palmer, a man who has spent a decade in prison for armed robbery, but escapes the day before he’s due to be released. For ten years Audie has been beaten, stabbed, throttled and threatened by prison guards, inmates and criminal gangs, who all want the answer to the same question – what happened to the money? But Audie isn’t running from trouble. Instead he’s trying to save a life more important than his own. My books might not be set in Australia, but I’m a home-grown boy. I was born in Casino, on northern NSW and grew up in Gundagai, where the dog sits on the tuckerbox. After living overseas for many years, home is now on Sydney’s northern beaches, where I write in what my daughter’s call, ‘Dad’s Cabana of Cruelty’. himself, saying how pleased he was to have a young reader on the far side of the world. That’s like asking me which is my favourite daughter! All my books are special to me, but the one that changed my life was the first one: THE SUSPECT, which caused a bidding war at the London Book Fair and allowed me to fulfil my dreams. The latest book LIFE OR DEATH is a story I’ve wanted to tell for twenty years, but didn’t think I had the skills until now. As mentioned earlier – I write in the Cabana of Cruelty, a lovely outside space with wrap-around windows and a shingle roof, overlooking tropical gardens and a swimming pool. It is sometimes hard to conjure up the means streets when I’m looking at paradise. I read very widely. Mainly fiction. Although I have my favourites like James Lee Burke, Daniel Woodrell and Dennis Lehane, I tend not to read much crime fiction, but I do have about a four books on the go at the one time, in different rooms of the house, as well as an audio book on my iPod. The Illustrated Man by Ray Bradbury opened my imagination and transported me and frightened my pants off. Lord of the Rings was also special. I borrowed it so often from my school library the librarian banned me from taking it out again. So I took to hiding it in the library. She found out, but instead of punishing me, she gave me the book. It is battered, broken and taped together, but still has pride of place on my shelves because it is the first book that I ever truly ‘earned’. Nick Carraway in The Great Gatsby. Nick calls himself ‘one of the few honest people that I have ever known’ and he prides himself on maintaining his standards in a corrupt, fast-moving world. He is a wonderful observer of people and events. He can see their flaws and foibles, but refuses to be overly critical. If I were Nick, maybe I could save Jay Gatsby from himself. I’m so boring. When I’m not writing I’m reading. When I’m not reading I’m walking. And even when I’m walking I’m listening to a book. Peter Corris tells the story of bumping into David Malouf at a function and asking if he was writing just then, ‘What else is there to do?’ he answered. That’s what it’s like for me…breathing. I love a gin & tonic at the end of the writing day and a glass of wine with dinner. As for food, it has to be spicy whether it’s a curry, stir fry and homemade pizza. cost 99c or $2.99. On top of this we have the spectre of piracy and illegal file sharing that is becoming more widespread with digitalisation.